It’s our last day of Jewelry Week! Michele from The Scrap Shoppe and I have had such a blast this week bringing you all these Jewelry Tutorials! 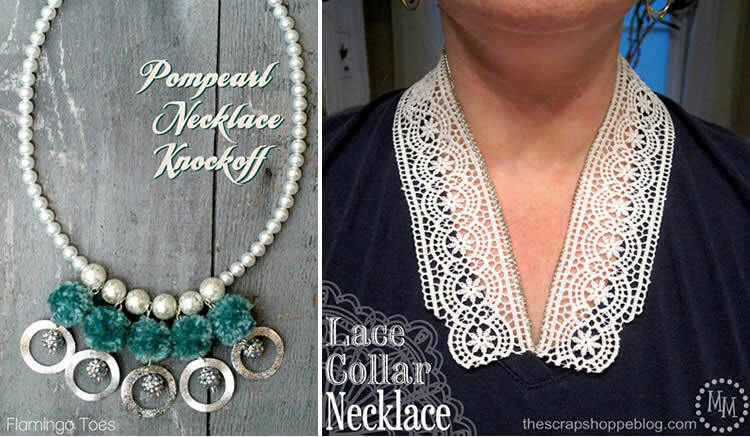 For the last tutorial of the week I have such a fun Anthro knockoff necklace for you!! 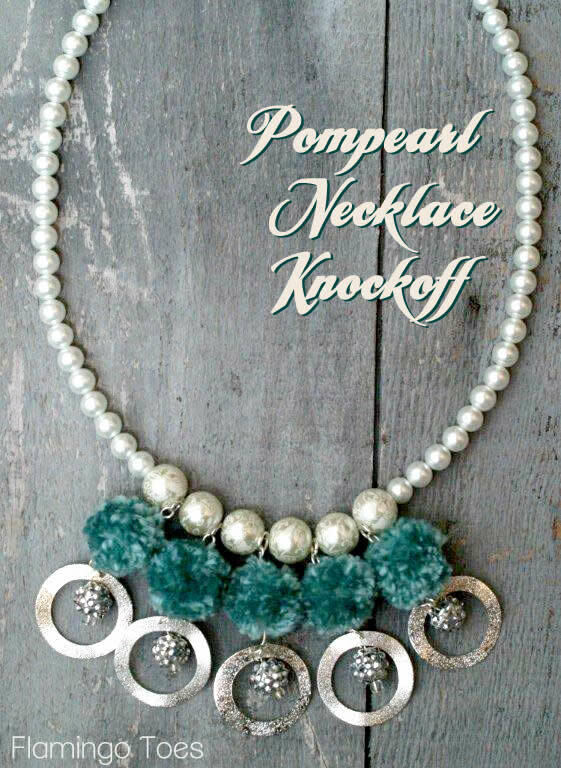 It’s my version of the Pompearl Necklace! 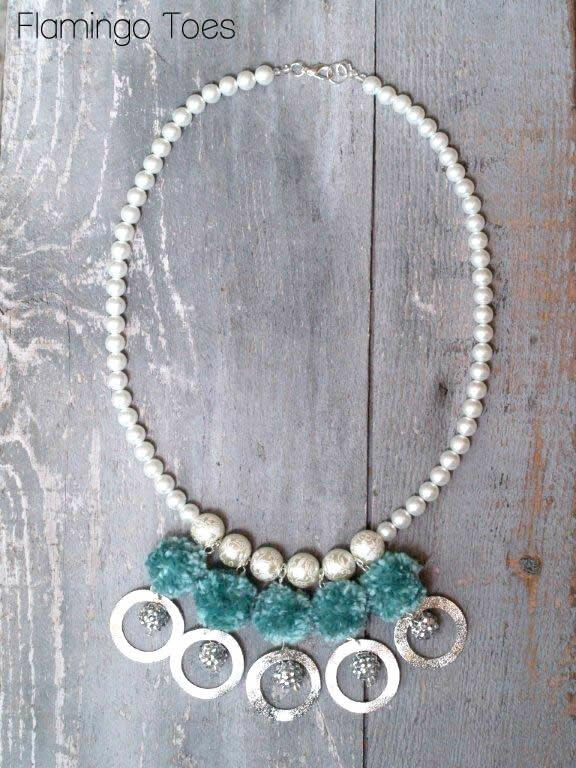 This is SUCH a fun necklace!! 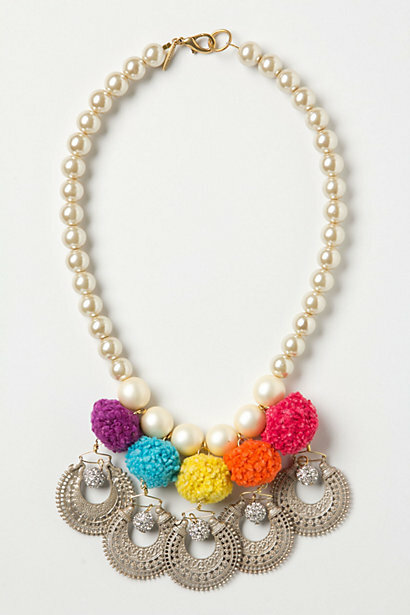 All those cute pompoms and pearls! 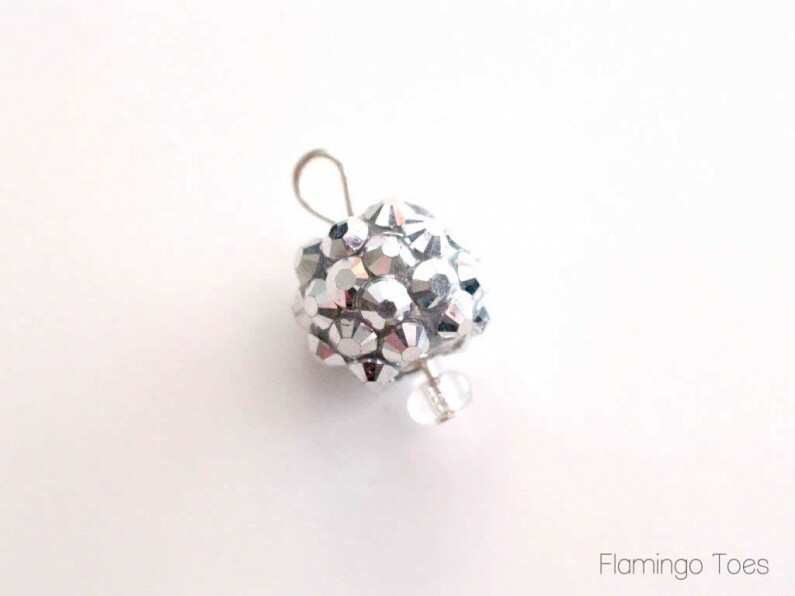 Start by adding your sparkly beads to a head pin. Add a tiny seed bead if the head pin slips through the bead. I thought these were rhinestones but close up the look like tiny little shiny gladiator maces. So that’s cool. 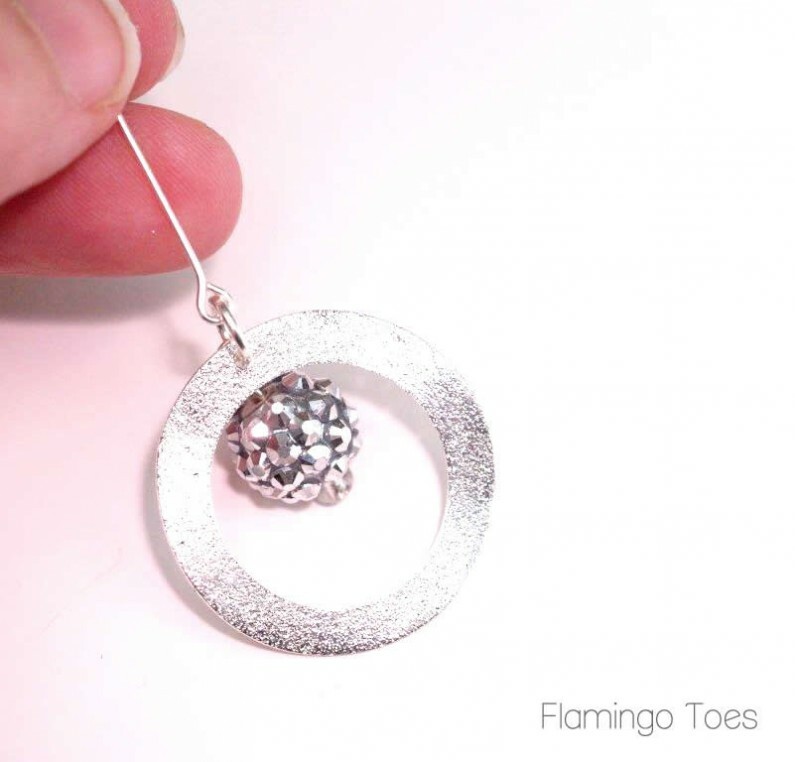 Make a loop with your head pin – you can find instructions here if you need them. 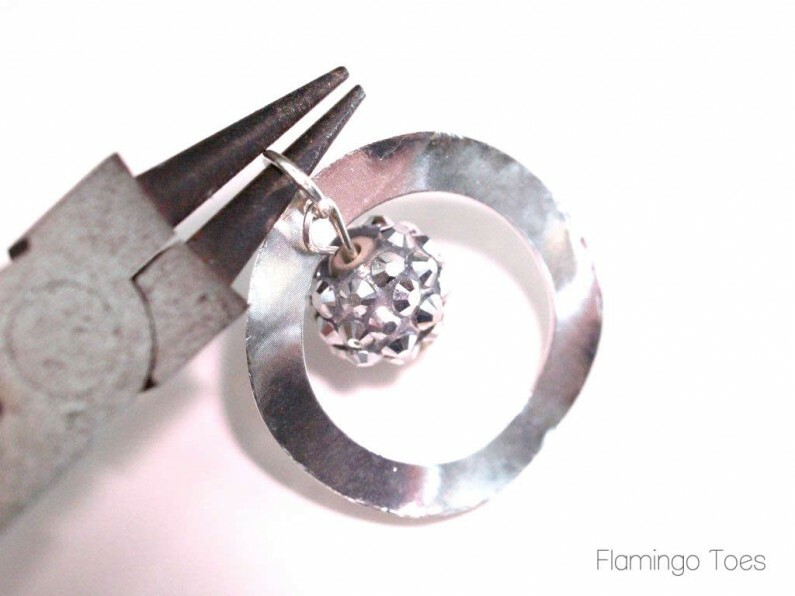 Add a jump ring to your silver hoop. Slip the loop from the sparkly bead onto the jump ring so it hangs on the back side of the hoop. Add an eye pin to the jump ring. Now the fun part!! 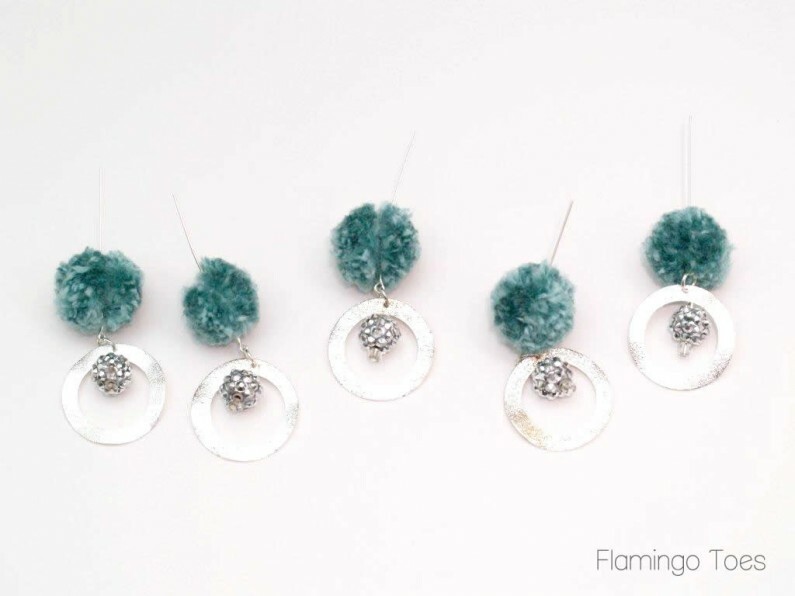 It’s time to create your pom poms! These are little and cute and so fun to do. 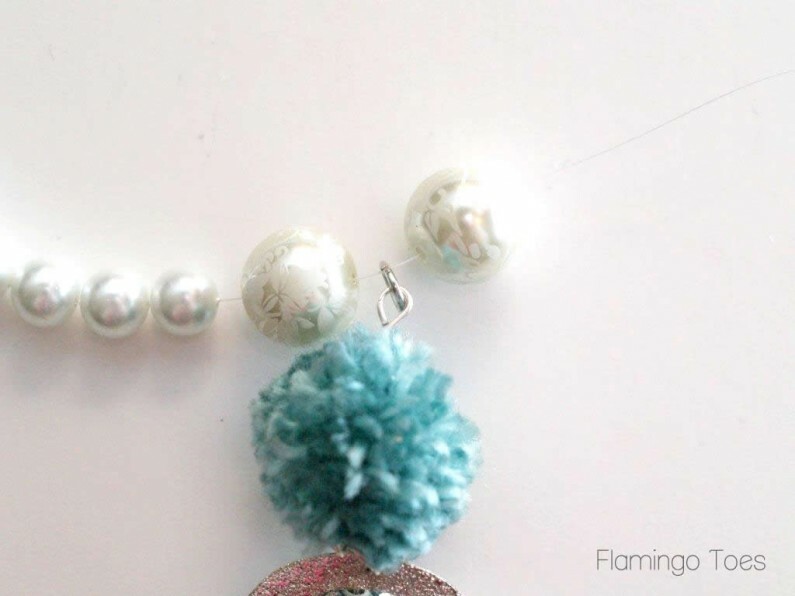 I used Emi from Small Good Thing’s fab tutorial for making tiny pom poms with a fork! So easy to do. Repeat for your other pompoms! 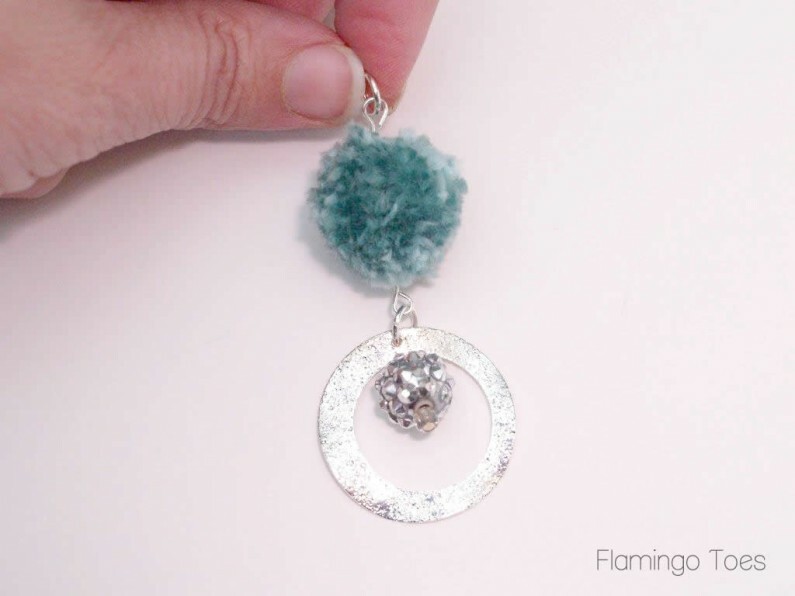 Make a loop in the eye pin above the pom pom and add a jump ring to it. 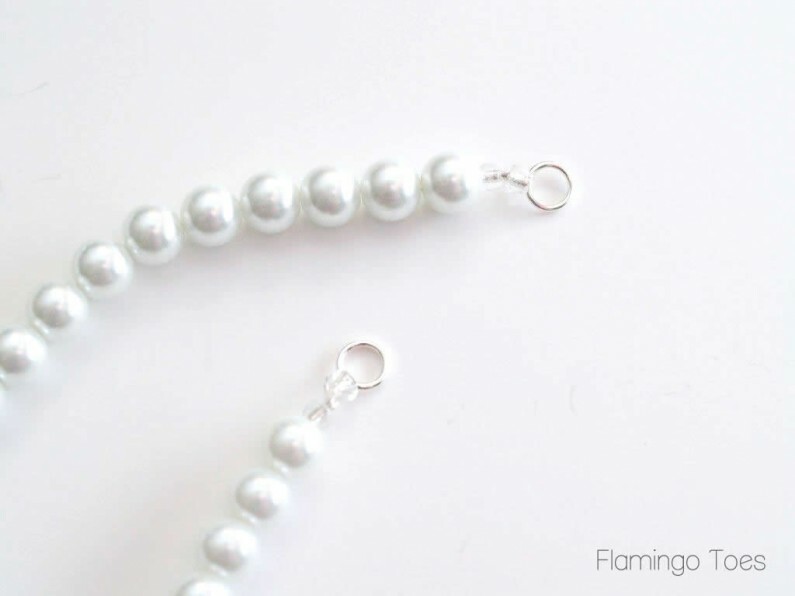 Thread your bead cording onto a needle and begin stringing your pearls. 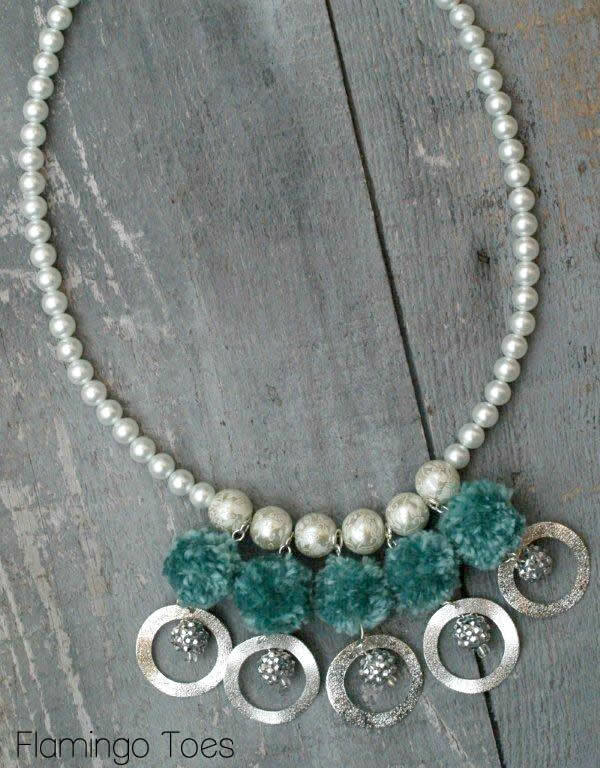 Add a large pearl, then one of the jump rings at the top of the pompom. Then add another large bead. Continue with the large bead/jump ring sandwich thing until you have added all 5 pom poms and 6 large beads. 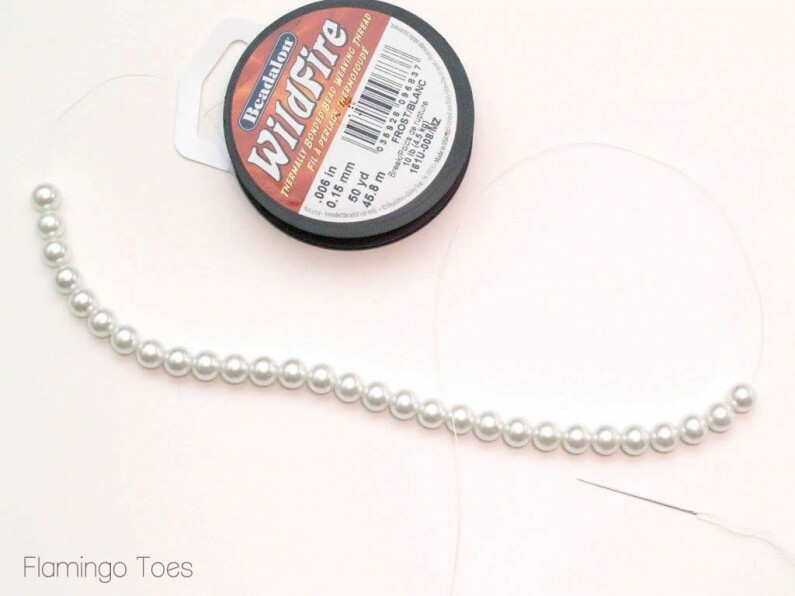 String 9″ of pearls for the other side. Add a large jump ring to one side and a lobster closure to the other. 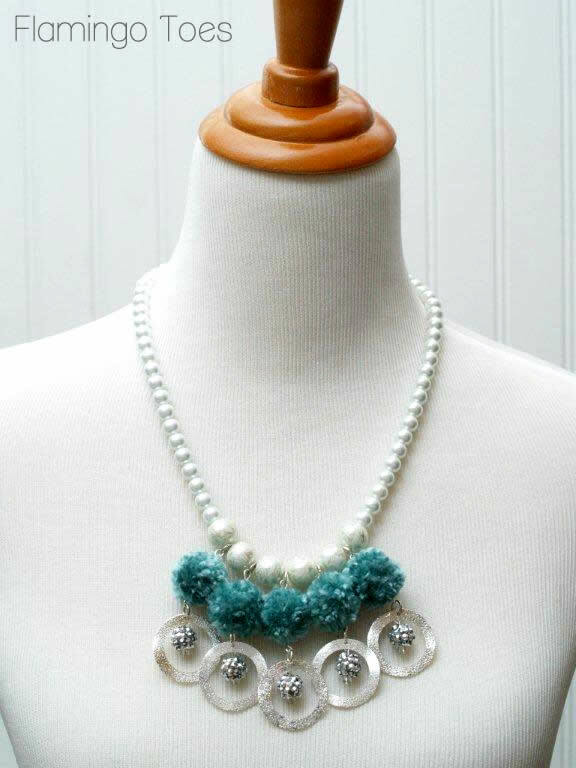 Now you have a super cute pom pom necklace! You could definitely change this up for other color schemes easily! It would be so pretty with yellow and gray – or coral and shite! There are so many options. 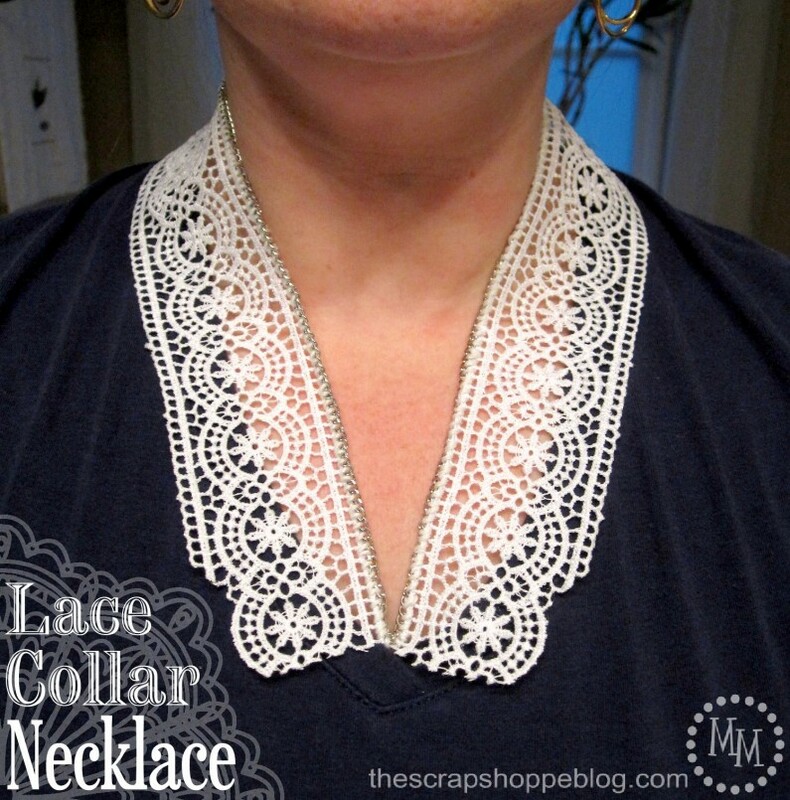 Michele has a darling Lace Collar necklace for you for our last day! Isn’t this sweet and feminine? I love it! I hope you’ve enjoyed the week as much as we have! Bev very cute. I need to get mine done. Love it. 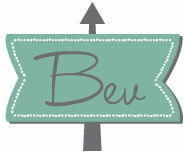 I think this is BEYOND gorgeous, Bev! Quite possibly my favorite creation of the entire week. :) I love the color of those poms! As usual I like your version better than the Anthro one! 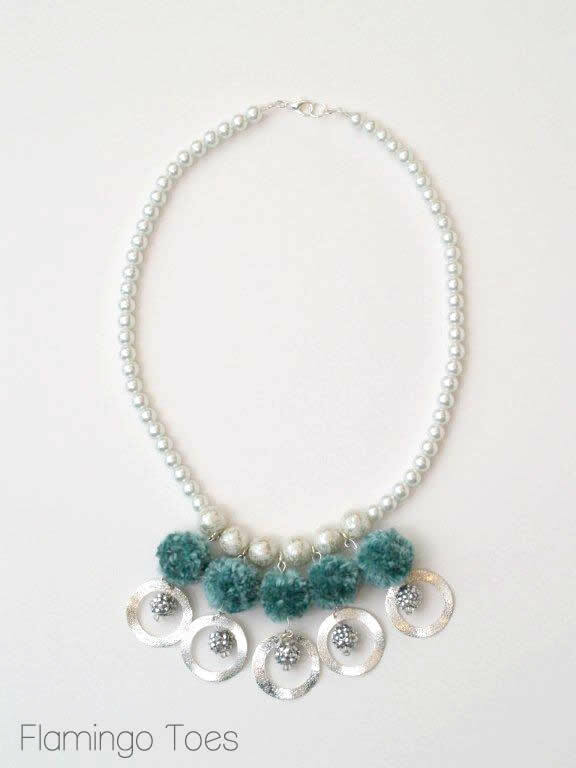 I don’t mean to sound like Heidi Klum but I also like the hard and soft element of this necklace (can you tell I’m a big fan of Project Runway?). What I always say on my blog is that I always learn something new when I read your tutorials and that you always make very complicated looking DIYs doable because you break them down into understandable steps. Thank you for posting this! I posted one finished photo and a link back to you on trueblue. Wow, this is absolutely beautiful!!! 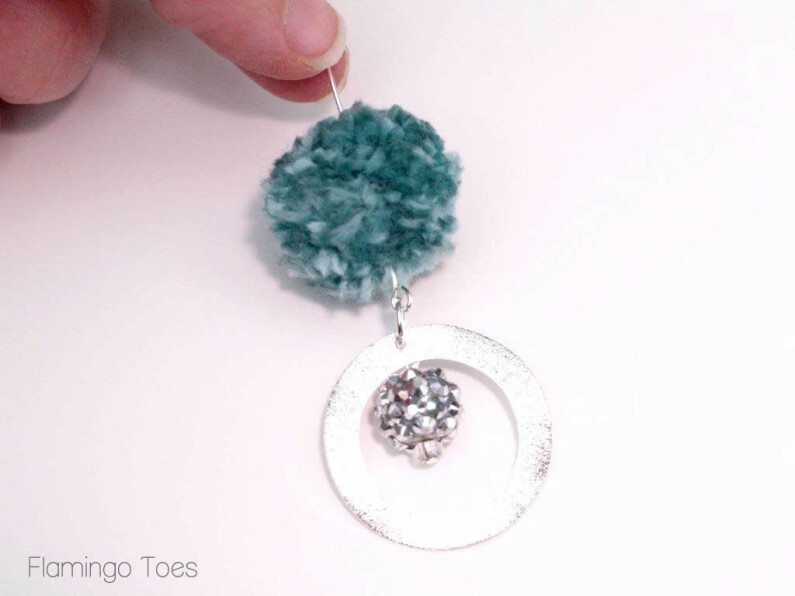 And as truebluemeandyou says, you make it sound so easy to make :) Thanks for the tutorial (and for linking my pom pom tuto! ), can’t wait to try making one! Very pretty! I like your version better than the Anthro one! Gorgeous! May I ask where you got the hoops? Those and the pompoms are my favorite part! Love it! Very creative and a heck of a lot cheaper than the original!